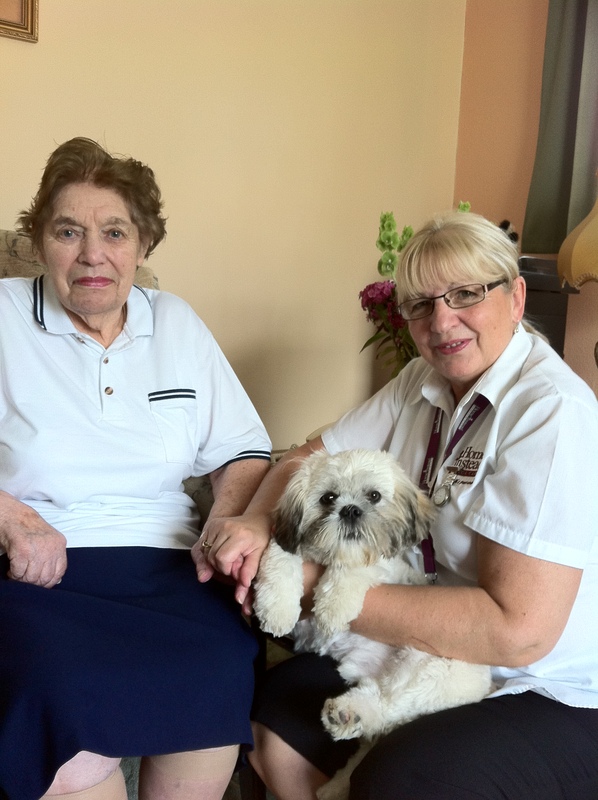 When Jeanette McEwan, owner of Home Instead Senior Care in South Lincolnshire found out that Take Your Dog to work day was fast approaching, she jumped at the chance to introduce 85 year client Betty Snell to her 6 month old Shih Tzu Archie. Archie has been an office dog for the at-home care company for several months and Jeanette says that many of her clients have already heard a lot about their new addition to the team. Betty Snell has been a client with Home Instead for several years and welcomes visits from caregiver Lynn Best (pictured) on a regular basis. As a dog lover herself, Betty was thrilled with the idea of receiving a visit from Archie and was really excited to meet the professional pooch she had heard so much about. Photo caption: 85 year old Home Instead client Betty Snell meets Archie the 6 month old Shih Tzu courtesy of caregiver Lynn Best.